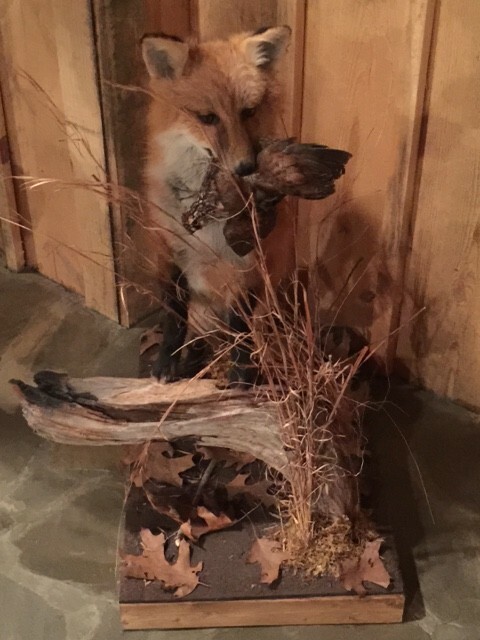 Red fox with a quail in its mouth on a custom habitat base. 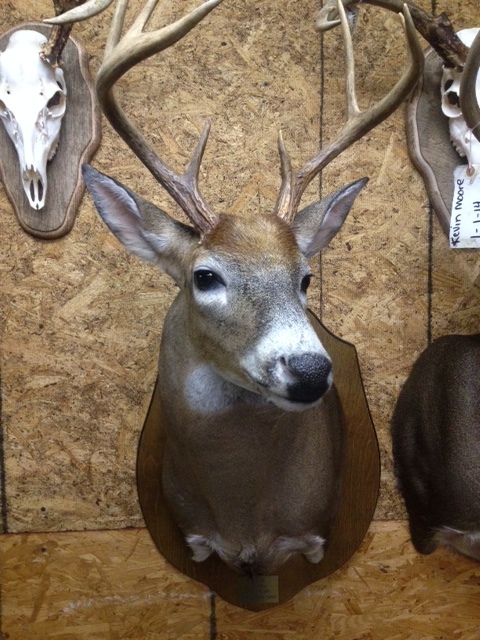 Latest Semi-sneak ears back deer shoulder mount, mounted on a panel with a brass nameplate . 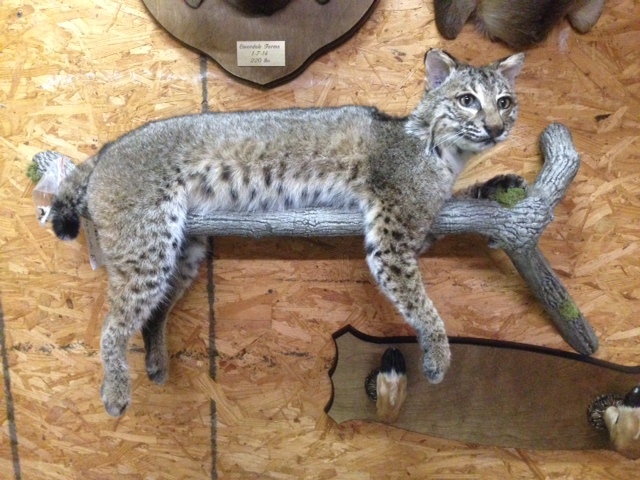 Custom mounted bobcat lying on a limb. 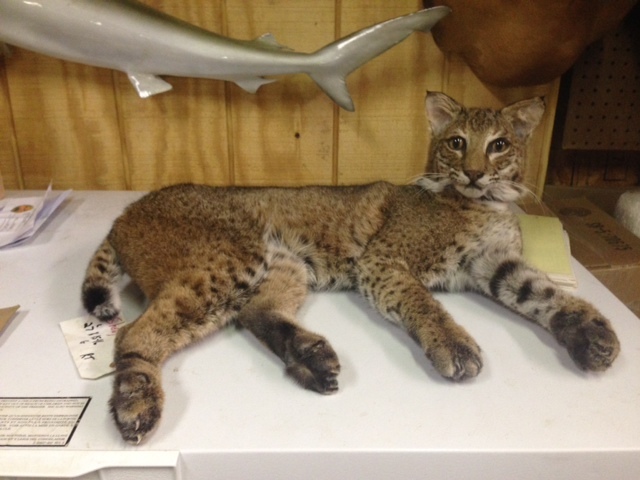 One of our latest mounts, a lying down bobcat.